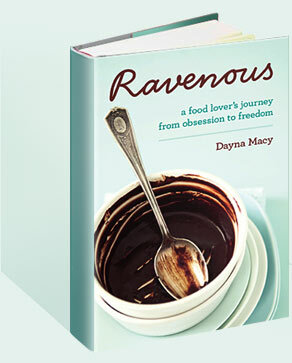 2011 October — Dayna Macy, author of "Ravenous"
I’ll be reading from “Ravenous” on Sunday, November 13th, 2:00 pm at Congregation Beth El in Berkeley, CA as a fundraiser for the local Hadassah chapter. I think I’ll read from my chapter on Jewish food (and skip the chapter on sausage). My first blog for the Huffington Post was posted today! We all know how to lose weight, right? A million roads lead to Oz, so just take your pick: the gluten-free diet; the sugar-free diet; the no-processed food diet; the high-protein/low-carb diet; the vegan diet and so on. I tried a few, lost weight, then gained it back plus a few, until one day, despite doing a lot of yoga and being a food writer who thought she knew better, I found myself closing in on 200 pounds. I felt awful. No only did I not like what I saw in the mirror, but I was finding it hard to move through my life. My joints hurt, my cholesterol and blood pressure were high, and I found myself out of breath when I exercised. I even started to slack off my yoga practice because it was becoming too hard. But I still dragged myself to my yoga mat, because yoga is what I do. And no matter how I felt when I started my practice, I always felt better at the end. It was on my yoga mat early one morning thatI had my epiphany. As I was sitting in lotus pose, I remembered that when I began my yoga practice 20 years ago, I didn’t just plop down into it — I had to work my way up to it I had to practice it. Why would my relationship with food be any different? And if food could be my practice, what would it look like? My problem has always been portion control. I had no clue how much I really ate. So I began a food practice of measuring my portions and writing them down. This was my first step towards what I call clear seeing — of taking food out of the realm of wishful thinking or wish fulfillment or any of the other emotional sleights of hand I do around food and seeing exactly how much I was eating. Measuring food and keeping a log is not a new concept — except I never called it a diet; I called it a practice. 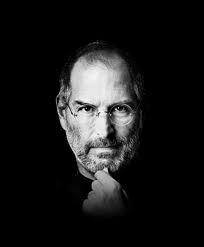 Words have power, and that change in words changed my life. If I wasn’t on a diet, then I couldn’t fall off my diet. If I wasn’t on a diet, there was no right way and wrong way of doing things. And I wasn’t “bad” if I didn’t perfectly follow some protocol. I became a kind of mind/body detective, sniffing out clues to what helped me walk my path and what threw me off. I learned through trial and error, for example, that I need to eat protein for breakfast. If I don’t, I eat again mid-morning — and it’s usually something with sugar that throws me off for the rest of the day. I learned that leafy greens make my body insanely happy, and that I binge on milk chocolate but not on dark chocolate. I discovered this through exploration, not because an expert told me something was true. In yoga, a teacher can tell you all she wants, but until you experience it in your own body, it’s not your own truth. Food as practice gave me the space to discover my own truths. That insight started me on my road to losing 30 pounds, 3 sizes, and keeping it off for now almost two years. Awareness is different from vigilance. Food is not the enemy. Some foods (whole and non-processed) are healthier and more vital than others, and I feel better eating them, but I learned this from experience which in turn led to a deeper awareness of what foods and quantities work for me. Awareness is a softer and more forgiving state than vigilance, and it opens up a greater space for lasting change. Kindness trumps contempt. My body, no matter what I weighed throughout my life, has taken me through my life. It birthed my children, it cooks the food we eat, and it has walked up the Leaning Tower of Pisa and down the Champs Elysee. My body has been a good and true companion to my journey. All our bodies are miracles and they deserve gratitude and respect. Take the long view. During the course of losing three sizes, I overate on more than one, or two, or ten occasions. The thing is, I didn’t let these occasional forays derail me. I didn’t create a story around them, and tell myself I was a bad person because I ate more than was good for me. Instead, I told myself to keep calm and carry on. This commitment to the long view keeps me on my path. Let go of pictures of perfection. Who are you comparing your attractiveness to? Actresses with eating disorders whose job it is to work out five hours a day because they have to be skinny to get work? I lost three sizes and I wear a size 12. I look good, definitely not perfect, and good is good enough. Weight loss is a journey, not a battle. It’s hard to wake up everyday and fight. Life is hard enough. Letting go of the battle does not mean you are giving up. Letting go of the battle means you are an explorer, not a soldier — and what you are exploring is who you are in relationship with food. That includes the what, when, how much, and why of food. What is good for me to eat? How much is good? Why am I eating this now? As an explorer of food, you are giving yourself the opportunity to know yourself better and to create a roadmap to greater health, happiness, and self-knowledge. It’s worth it – because after all, life is not a dress rehearsal.